Sunday afternoon, we put on our freedom gear and headed to the Enzian Theater to watch the documentary we'd been so eagerly awaiting: Blackfish. The Enzian, by the way, is amazing. If you live anywhere around Maitland you should make this one of your hotspots. And look! Apparently, its 5 bucks for Bloody Marys and Vodka OJs. We ordered food and sat down to watch the show. My heart raced. Once again, nothing could really prepare me for the weight of what I was about to see. I honestly feel that you cannot watch this film and walk away unchanged. 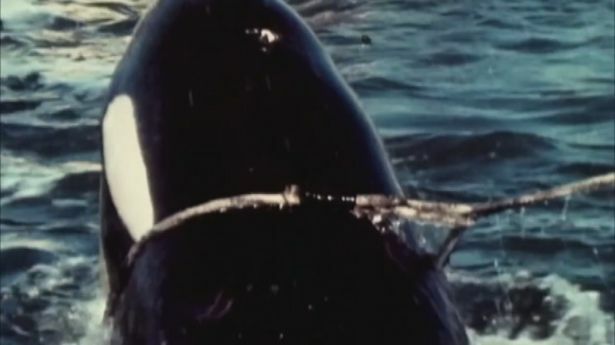 I was certainly instilled with an even stronger sense of urgency to do something for Orca Whales. The film is structured, informative, heart wrenching, challenging, and difficult to argue with. Everyone interviewed was directly involved with the subject. 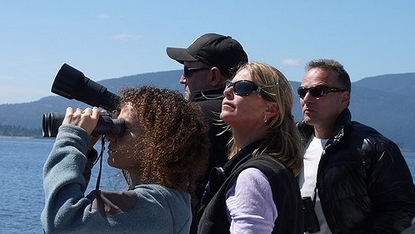 Scientists, Marine Mammal PhDs, eyewitnesses of attacks, and even a sailor who participated in Orca Whale captures. 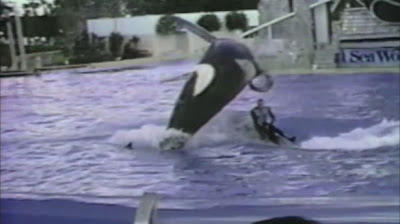 Many former SeaWorld trainers also appeared in the film. Their palpable, raw honestly and firsthand experience with captive animals was, I believe, the heart of the film. They had an obvious love for these animals, and courageously spoke up for them in this new context. We all watched as a white haired sailor, covered in tattoos and folding his arms, told the story of "the worst things he's ever done:" capturing infant Killer Whales out of the wild and tearing them away from their mothers. He said that as they screamed for each other, he had begun to cry, but had continued his work. The whales that died in the process were cut open, filled with rocks, and sunk to the bottom of the ocean. "At the time, I didn't think of it as illegal as much as a PR thing," he said. 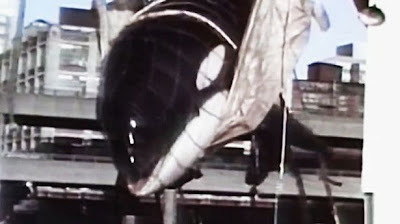 I think the point where I lost it was when a former SeaWorld trainer told the story of Kasata's calf, Takara, being taken from her. 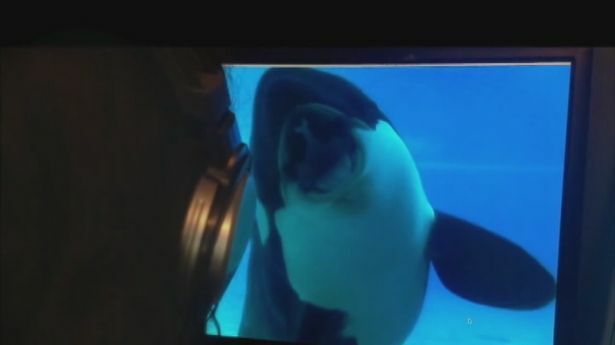 The trainer said that she had "naively assumed" that the mother and calf would be kept together, because in the wild, Orcas never separate from their young. She was allegedly mocked by management, and Takara was ripped from her mom and shipped to a different sea park in another part of the country. Kasata proceeded to wail, shriek and mourn for the entire night. The noises she was making were unlike anything they had heard before. When they brought in an expert to analyze the sounds, he found that they were long range calls-- she was trying for her scream to be heard at far distances, maybe far enough for her baby to hear them and return to her. Even as I typed that last sentence my heart broke. How on earth can we accept this. Of course, the film also focuses on how the inhumane treatment of captive Killer Whales has led to animal violence against human trainers. Multiple dead and wounded people make it pretty clear pretty fast that this is not a safe or good idea. 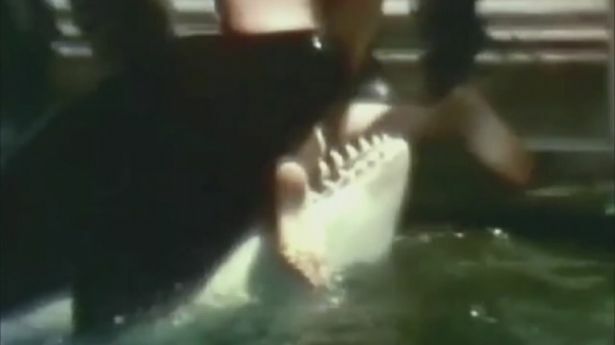 The death Tim Zimmerman in Loro Parque, who, after he was killed by a killer whale, "looked as if his chest had exploded." The death of Dawn Brancheau, an experienced SeaWorld trainer, who was dragged into the water and killed by Tilikum in 2010. And of course, please watch the Trailer. 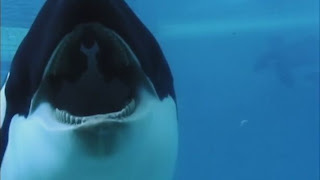 Click the link to watch my good friend Katelyn and I discuss our reactions to Blackfish. I swear... I've accidentally become a hippie. But when a cause is as obviously important as this one... maybe it's time we all went a little hippie.